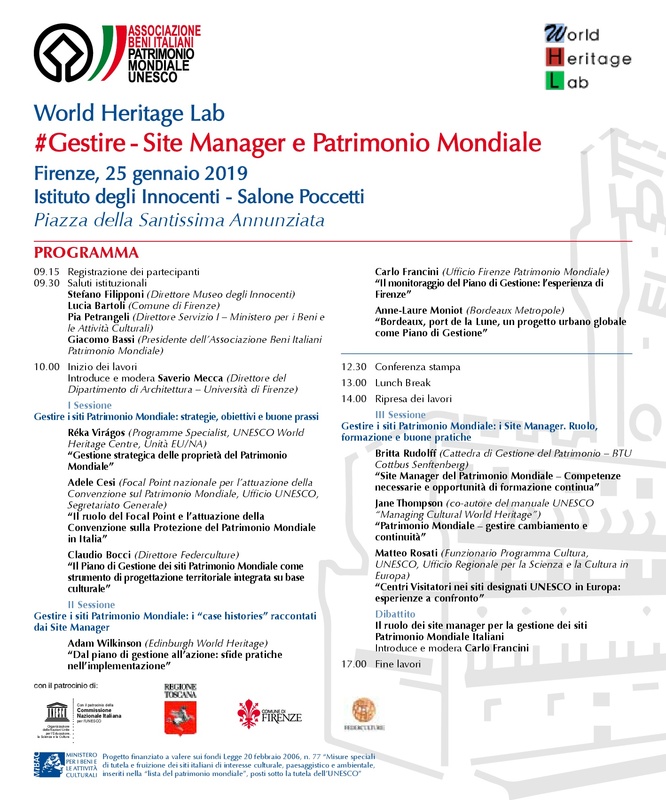 The Association of Italian World Heritage sites organises and promotes the conference “#Gestire – Site Manager e Patrimonio Mondiale”, which will be held in Florence, at the Istituto degli Innocenti, January, Friday 25. The aim is opening a discussion on threats and opportunities related to the management of World Heritage sites. Streaming on the youtube channel of the Associazione Beni Italiani Patrimonio Mondiale.